Lake Taupo is the largest Lake in New Zealand, created by a super volcanic eruption about 27,000 years ago. According to Wikipedia this was the world's largest known eruption over the past 70,000 years, ejecting 1170 cubic kilometres of material and causing several hundred square kilometres of surrounding land to collapse and form the caldera. Today, Lake Taupo is the hub for many fantastic outdoor opportunities but also the perfect spot to take a break from your travels and enjoy the scenery and slower pace of life in New Zealand. Mountain bike tracks through forest and native bush for all levels. Easy & scenic 10km bike track following the Lake from Town, great for all ages. Cruise Cat & boat tours around the Lake. 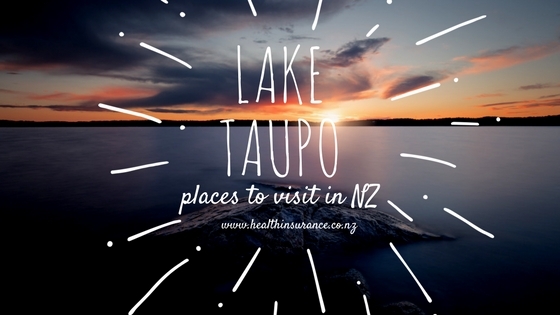 We recommend visiting a few key places when staying in Taupo. The first being Huka Falls, an awesome thundering 11-metre high waterfall and the most photographed natural attraction in New Zealand. You can drive directly to the falls and park nearby, or take a scenic walk from Spa Park along the Waikato River. You can also experience the Falls up close on either a jet boat or take a leisurely cruise on board a river cruise. Spa Park natural thermal springs is another great spot to visit. The Otumuheke Stream is a free hot stream that flows into the Waikato River and creates natural hot pools. Walk to here from the Spa Park carpark and sit and soak in soothing thermal water. Note, the sight will be upgraded in 2019 to include toilets, changing room and cafe, but for now enjoy the natural state of the area. The Maori Rock carvings are also a must see when visiting Taupo. These are one of New Zealand’s most extraordinary artworks carved into the side of a cliff on the edge of the Lake. The carvings can be viewed by taking a scenic cruise, sailing trip or kayaking adventure from Town. If you enjoy hot pools we also recommend visiting De Bretts, especially lovely at night, or AC Baths which has a more family focus. These both have heated hot pools, wtih De Bretts water being geothermally heated mineral water. As well as outdoor activities and adventure, Taupo has a fantastic selection of Cafes, Bars and restaurants and a unique selection of boutique shops. We recommend taking the time to stop for a drink at one of the eateries overlooking the Lake and soak up the stunning view!